"Secrets of the Ninja's Koppojutsu" DVD | Order yours before they're all gone! Only 20 17 12 Copies Remaining of this Special, Advanced Master's Class Home Study Program! "It's amazing just how many students choose to stop learning, before they ever gain access to the true secrets buried deep within this powerful and ancient martial tradition!" Just how deep down the proverbial "Rabbit Hole" do you want to go in pursuit of Mastery in the art of Ninjutsu? Are you content with just learning the basic skills? Are you satisfied with simply going through the motions in learning the step-by-step kata as most teachers present the lessons from the ancient scrolls? Do you want to gain access to the secrets that lie deep within the art of Ninjutsu? Are you satisfied with "looking good" - looking like you know what you're doing - or do you want to have the kind of power, confidence, and control of a situation that literally leaves your attacker unable to do anything else? You see, over the past 24 years seriously teaching this art, I have found that most students (and teachers) in this art, are content with learning just enough so that they can look or sound like they know what they're doing! And, do you know why I say it's true? Just another martial arts choice - among martial arts choices! So, why do I continue to teach the way I do? Why do I care? I know that there are those students who are looking for the same secrets that I was exposed to when the art was first brought here to the West - before it was changed and "watered-down" for the safety of the masses. Are you one of these serious students looking for "more?" What would that kind of power mean to you? How would that effect your confidence and overall skill level? How would your training, and your ability to control dangerous situations, be different? It was time to make these lessons available to the handful of serious students who want to get as much as possible out of their training. "Bone-Breaking Art of the Ninja!" This program is taken from a very special, closed-door, training class that I gave to a limited number of my Black Belt and Mastery level students. And, until now, these lessons have been restricted to these students only. "Happa" striking to completely shut down a striking limb... or your attacker's entire body! Attacking his spine without actually touching it! Attacking a target with multiple strikes, not one after the other but - at the EXACT same time! PLEASE NOTE - This is not another video of "some guy" demonstrating the kata from some lineage. This is high-level, strategic application of advanced principles for serious students! There is something in this program for beginners, intermediate, AND advanced practitioners alike. I've decided to make this program even more valuable by adding some VERY special bonuses. Because I figure that, if you're really serious about your training, then I really want to help you as much as I can. Ask any of the members of my "Inner Circle" Platinum Coaching group and they'll tell you that this is not only true, but that I routinely give them more than promised or expected. A second complete course based on another Master's Class done for my in-house, Black Belt students - on a secret lesson hidden within the scrolls of the Gyokko Ryu's Koshijutsu ("Finger-stabbing" arts) value $197. 3 Months of Unlimited Email Coaching - where you can ask me anything about, not only the lessons in these 2 powerful courses, but on any aspect of your training! value $297. That means that the value of these special bonuses are worth well over $500 dollars alone! Not counting the cost of the actual course! Ordering is Safe and Easy! 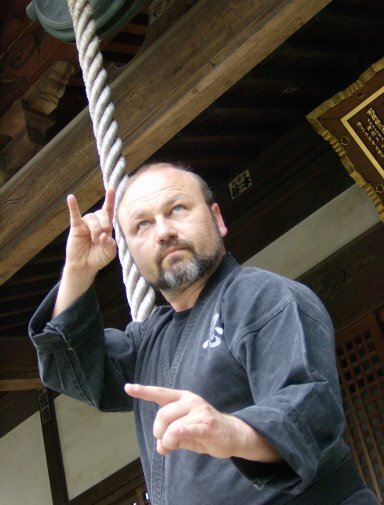 Students who attend my special Ninja Camps and other training intensives have paid up to $500 for the lessons in this koppojutsu "bone-breaking" home study course. Those in my coaching program, as well as my private students pay me up to $150 an hour for training, and the unlimited email coaching is worth several times that. So, with this training program having a value of over $1,400, you can see why I really thought about offering this program for well-over $297. Because I know that it's worth it! But, to make sure that you have the best opportunity to have these lessons, it's not even $297. The cost of this powerful course, including the Bonus class from the Gyokko Ryu's Koshijutsu tradition, the discount certificate for live training in 2012/13, and the unlimited email coaching for 3 months, is just $87. plus $9.00 S&H to anywhere in the world! While you're at it, why not order a 2nd or 3rd set to give away as gifts to your friends who are serious about training as well?! BUT... there IS a catch! And, if you're on my mailing list, you already know this. I only had 20 sets produced! And, as you can see by the number at the top of this page... they are almost gone. Then you need to grab one of these Ninjutsu Home Study Courses before they have gone the way of the Do-Do (you know, the extinct bird!). Because when they are gone, I will be replacing the copy count at the top of the page - not with numbers but - with the words "Sold Out" in big, gigantic, red letters! Home Study Courses right now!